It should have been no surprise that broccoli makes excellent burgers. It is one of my favourite vegetables but I would never have though to put it into burgers. These burgers are winners! Literally! I found this burger recipe a couple of years ago in an article on a competition for the best vegetarian burgers. A vegetarian burger competition sounds excellent. Now imagine being a judge if all the burgers were as good as these! I made a few changes but mostly followed the recipe and it is indeed inspired. 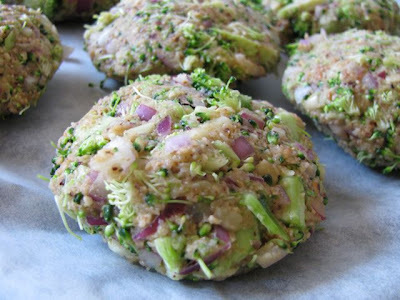 The finely chopped broccoli cooks in the oven and the burgers hold together well – despite a few cracks when cooking. My main disappointment was that the raw burgers had specks of purple onion and green broccoli but the cooked burgers had a crispy golden skin and were pale inside. It is helpful for anyone wanting to hide broccoli in the burgers but less pleasing for those of us who love colour in a meal. 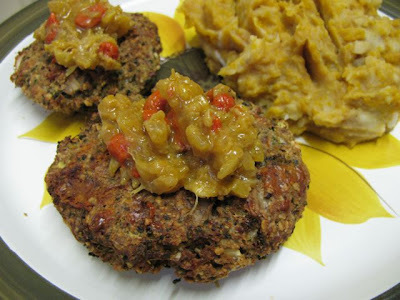 I served the burgers with mashed potato and pumpkin with promite and topped with pineapple and banana chutney. It tasted great but all looked a bit golden-orange with not a jot of green in sight. In fact it tasted so good that when faced with a choice of leftover burgers or curry, E went for the burgers. Definitely a winning recipe! Mix all ingredients and check seasoning. Use hands to shape into burger sized patties (I made 7) and place on baking sheet lined with baking paper. Spray with oil and bake 30 minutes at 180 C. Flip burgers over and spray with oil. Bake an additional 30 minutes. Serve hot. My copy of Vegetarian Times (VT) appeared in the mail recently. Usually I look at the recipes and plan what I will make but quickly forget my good intentions. This month had a section on banana with a Banana and Pineapple Chutney – I had plenty of pineapple and banana from my fruit bowl and finally followed through with my VT plans because it seemed a good way of using (preserving) the fruit. 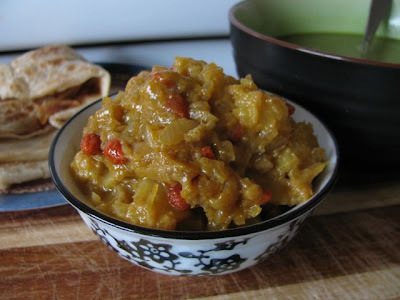 This chutney is easy to make. I made mine in about 30 minutes while I waited for my Hummingbird Cake to bake. I was also happy with it because it was a small quantity (I halved the VT recipe) and only kept a week so I didn’t need to bother with sterilising jars. 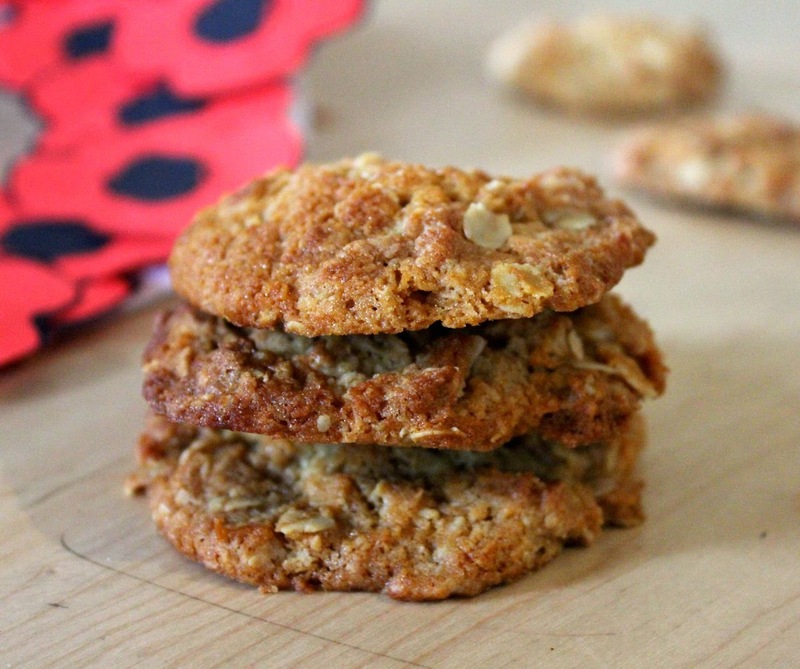 I made some small adjustments to the flavours and substituted goji berries for sultanas. I used them because E has been having them on his cereal and they seemed suitably exotic and colourful for this chutney but in future I would only use half the amount called for in the recipe. 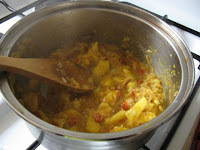 However it is a very sweet chutney – moreso than other chutneys I have made. The banana takes a backseat to the pineapple. At first I thought it tasted quite like sweet and sour sauce because the pineapple and vinegar flavours were so predominant but once I let it cool and the other flavours develop it had far more complexity to it. When served with pasties, E though it too sweet but he enjoyed it with burgers. 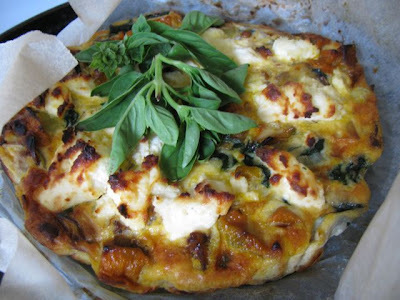 My mum and I enjoyed it with some spinach and fetta pide triangles. And of course it is excellent with curry or dahl. 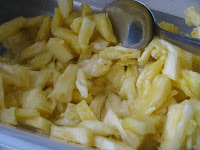 All in all, it is a fine way to use up fresh pineapple and get more fruit in your diet. I am sending this to Andrew at Spitoon Extra who is hosting this month’s Waiter There’s Something in My … with Pineapple being the theme. Heat oil in medium saucepan and fry onion til soft and translucent. Add spices and stir one minute. Add remaining ingredients and bring to the boil. Reduce heat to medium and simmer about 10 minutes til fruit soft, stirring frequently. Cool and store up to 1 week in airtight container. When I was a student in Melbourne, it was hard to find a cake display in a cafe that didn’t include a hummingbird cake. Having plenty of banana and pineapple from the basket of fruit I had been given, I decided to it was time to revisit my trusted recipe - ideally while E was soothing the crying baby. I suspect my recipe in my notebook came from a newspaper or magazine but I have had it too long to remember the origin. It is one that I come across every now and then and am hit with a burst of nostalgia for the time when it was the height of fashion. 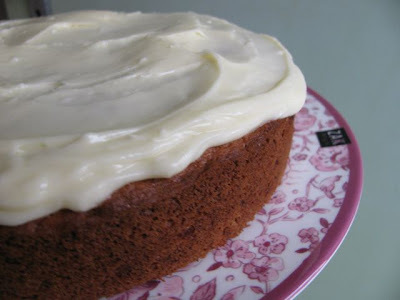 It is fruity and moist, a little spicy and is pleasingly indulgent with the added richness of mandatory cream cheese frosting. The recipe I had was for 3 x 20cm diameter round cakes sandwiched together with frosting and then covered with it. But that seemed excessive for a homely cake and I didn’t have quite enough butter, so I scaled down the ingredients to about two thirds to make 1 x 22cm diameter round cake. I halved the frosting and found that I only needed half to ice the cake, so I have the remainder in the freezer. My recipe also called for decoration with passionfruit and mango slices but I am not keen on mango and thought strawberry and kiwi fruit would give an equally exotic feel. Unfortunately I had that fruit but not the energy to decorate so I just served it with frosting. 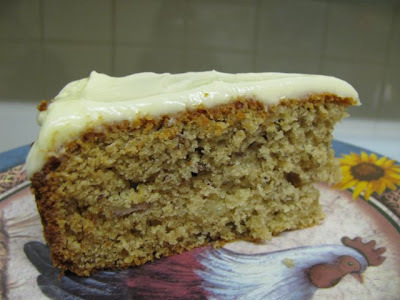 I have sought out hummingbird cake since making it and found that it is indeed a layered cake which is traditionally made with banana, pineapple, spices and cream cheese frosting, although it seems the quantities varied in the versions I found. But there is not much history of it. According to FoodTimeline the first printed reference to the cake is 1978. It seems odd that there are not older records, as it seems a classic cake in my book. 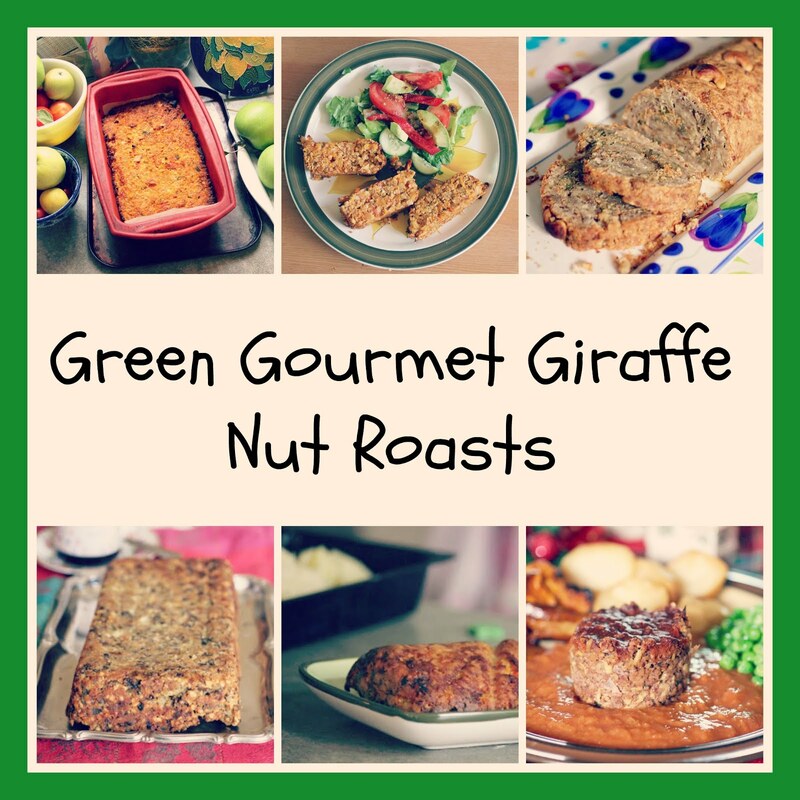 It was nice to make it again and to have a smaller version of the recipe that is more fitting for our household. Grease and line a round 22cm cake tin (or if you want layers you could do two 20cm tins). 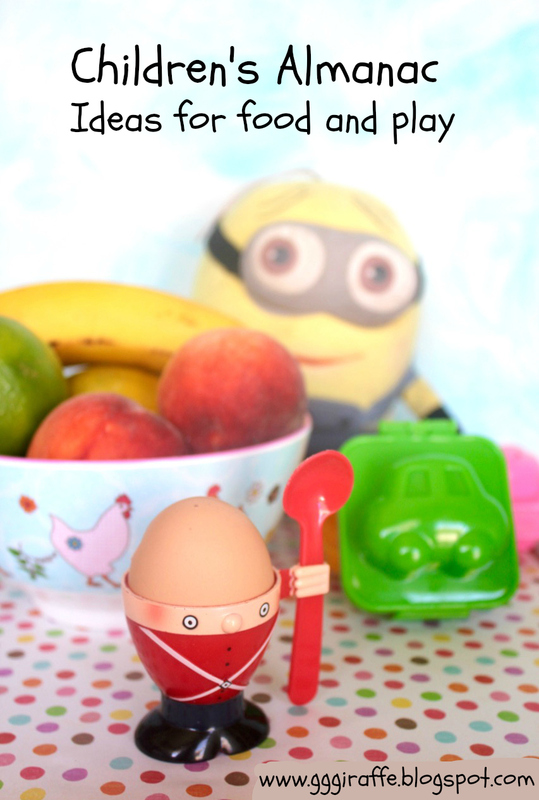 Mix butter, eggs, pineapple, banan, sugar and vanilla together. Add dry ingredients and mix to combine but do not overbeat. Pour into prepared tin and bake in 180 C oven for about 45 minutes or til a skewer stuck in the middle comes out cleanly. Sit in tin 5 minutes and then turn out onto wire rack to cool. To make frosting, mix butter, cream cheese, vanilla essence and lime juice together with spoon or electric beaters. Add icing sugar gradually til all is incorporated. Spread frosting over cooled cake and decorate with fruit if desired. I have been reading quite a few foodie magazines lately (courtesy of my mum) and dreaming of much more cooking than is practical. One cake in particular took my fancy because it had port in it as well as grapes. The Citrus Grape Cake was the first baking I did after Sylvia was born so it gave me a lot of happiness to be back in the saddle. It took me a while to get my act together and bake it but it was well worthwhile. Finally, E was soothing the crying baby, and I was halfway through the preparations, when I discovered that the eggs were looking decidedly dodgy. Intent on my mission, I was determined to finish baking the cake. 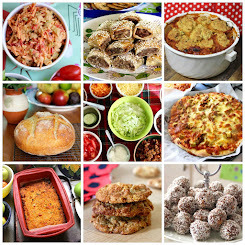 I consulted my Joy of Vegan Baking for ideas on egg-substitutes. 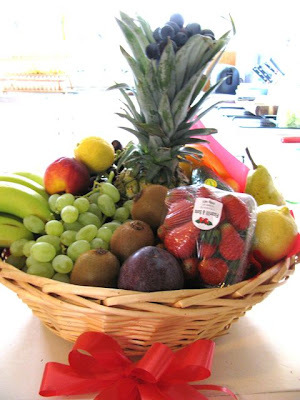 Fortunately I had a wealth of fruit because a friend (Junko) had generously given me a huge basket of fruit (it was so full I couldn’t even lift it to take it outside and photograph it). So I used some bananas instead of the 3 eggs and added a little soy flour and extra baking powder for added richness and rising. The resulting cake was one of the nicest cakes I have made. The brown sugar and port gave it a soft golden caramel crumb with a slight bitterness from the citrus zest and bursts of sweetness from soft juicy grapes. E was even quite keen on it and thought it would taste lovely hot with custard. Surprisingly the bananas did not add much to the flavour. I couldn’t resist a piece when it came out of the oven and the piece collapsed into crumbs. 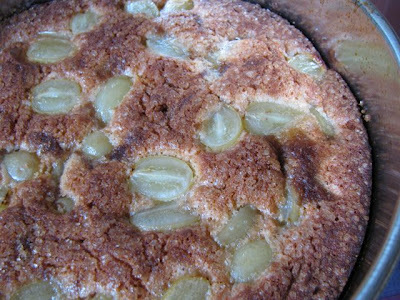 It held together much better when cooled, although still a little crumbly, possibly because of the lack of eggs. I was also pleased that evening to feel like I was almost cooking dinner again. A friend (Kathleen) had kindly looked out her copy of the Enchanted Broccoli Forest which we had loved as students and made me some of our favourite dishes. I served her tofu nut balls with soft polenta, tomato sauce and broccoli. Line and grease 22cm round cake tin. Preheat oven to 190 C.
Cream butter and sugar in large bowl. Stir in bananas and rind. Place port and oil in a small bowl (or coffee mug) and whisk together with whisk or fork. Add flour and baking powder in lots alternatively with port mixture. Gently stir to combine. Pour mixture into prepared tin and bake for 50-55 minutes or til a skewer comes out clean. Serve warm or cool. 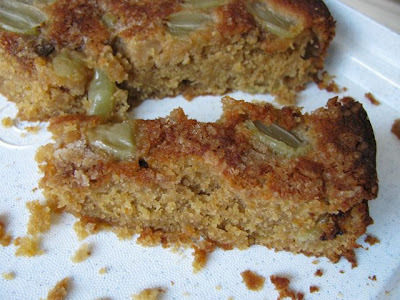 UPDATE 5.9.2012 - I made this again and used almond meal instead of soy flour and orange juice instead of port. It was fantastic. I think the almond meal was even better than the soy flour. I've uploaded a photo of this cake - with red grapes - at the top because the photos I took back in 2009 weren't that great! Thanks to everyone who has left such kind comments on the birth of Sylvia. I have been trying to catch up on your posts in my blog reader but due to limited time I apologise that I haven’t been able to make comments. There is still very little cooking going on here but I do have a few recipes to post. However, before that, I wanted to share a rant and some thanks. The rant is about hospital food. 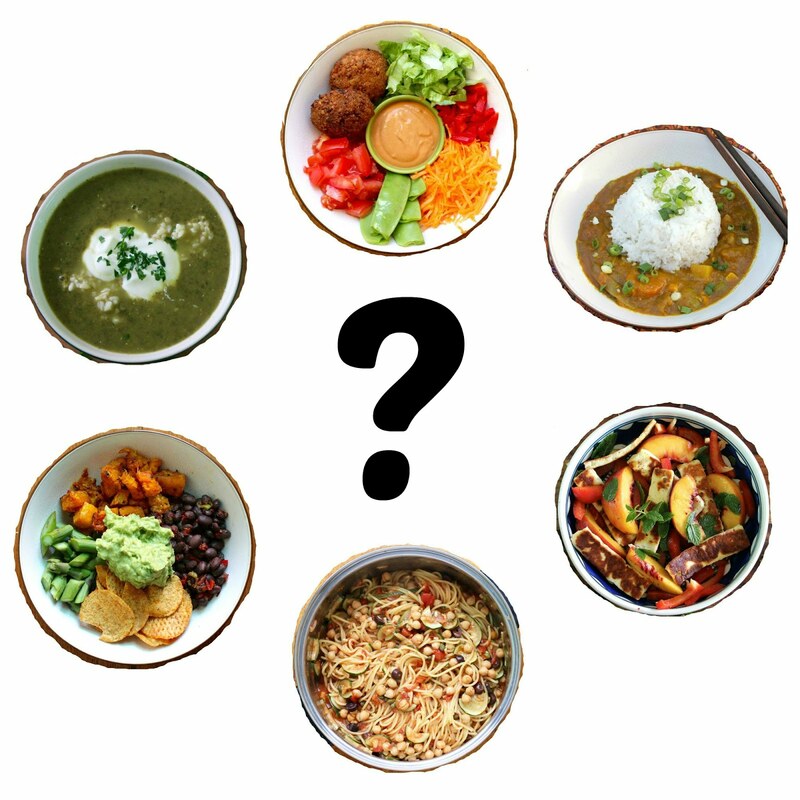 We went through the public health system and had some excellent service and some not-so-good service but the food has to be one of the low points. I have had an insatiable hunger since the birth – probably the fact I don’t have a baby squashed against my stomach as well as the energy required for labour and feeding. 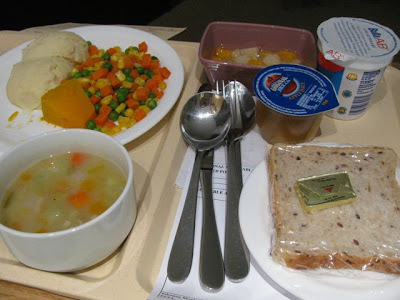 So I was horrified at how bad the food during my stay in the hospital was. I took the above photo of a meal I was served because it appalled me so much. The frozen peas, corn and carrot were described on the menu as ‘seasonal vegetable’ which made me laugh. As you can see, despite what is recommended as healthy eating for breastfeeding mothers, the hospital meals were devoid of much in the way of protein, iron, calcium, or fresh fruit and vegetables. Vegetarians were poorly catered for. When I complained about the food in talking to the nurses, they found I wasn’t getting the vegetarian meal. When this was finally changed, the veg option wasn’t much healthier. I don’t imagine that carnivores fared much better - the meat meal I was given on one occasion looked like grey sludge. On a more positive note, I have been very lucky to have a mother who appreciates good food. (OK, no coincidence there!) She brought me food in hospital and has been cooking up an impressive array of dishes for me to have at home - pumpkin quiche (pictured), lentil, mushroom and fetta salad, dahl, stuffed eggplants, and the wonderful Leek and Aubergine Tart Tatin which was recently featured on the Cook and the Chef on the telly. She has also visited with loaves of good sourdough, home made cakes and very helpful advice. There is probably more that I have forgotten too because the past few weeks are a bit of a blur. Thanks mum! We are pleased to welcome a new addition to our household. 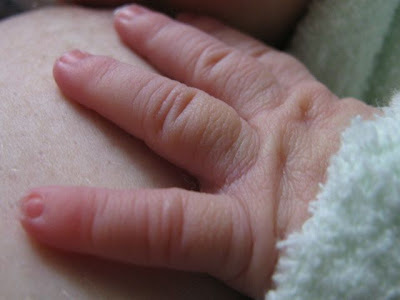 Our daughter, Sylvia, was born about two weeks ago. Sister to Alex and Ian, who are sadly missed. Companion to Zinc who is one curious cat at the moment but still getting lots of attention and not enough time outside. Unfortunately, I have not had any energy for cooking and have been relying on food from my mum, friends and the freezer. Hope it will not be too long til I am back with more food posts. - still enjoys the favourite foods to her third year - now eats both promite and vegemite - loves tofu bacon, cheeseymite scones, porridge, tomatoes, pizza, baked beans, treacle scones, rice cakes, rice crackers, hummus (only from shops), has tried risotto rice (likes it without any vegies in it) and cooked polenta, enjoys smoked cheese and parmesan cheese, will now eat her pasta with some grated parmesan, insists on soy sauce on her rice, and she could live on hot chips if allowed. She eats lots of vegetables and fruit. - love tofu bacon, walnuts, sushi (with just rice filling), cheese, baked beans, vegetarian sausages, bread, tofu, vegies, fruit, stewed apples, stewed rhubarb, porridge, pikelets, chocolate, cake with icing and sprinkles (and anything sweet). Has taken up a dislike a sultanas to add to her dislike of bits. Hates pumpkin and meat. Updates on Sylvia's eating and playing etc in her sixth year. 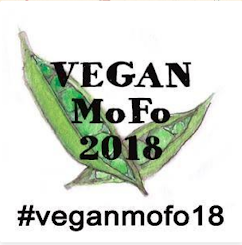 - loves pasta, parmesan, tofu bacon, sushi, vegemite and cheese sandwiches, vegie sausages, rice crackers, hummus, fried rice, pizza, baked beans, chickpeas, broccoli, tomato, carrot, apples, pears, porridgies, cornflakes, rice bubbles, lollypops, cakes, chocolate, anything sweet. Has started to try some of our meals such as pilaf, stew with pasta, macaroni cheese, and sausage rolls but it is hit and miss.